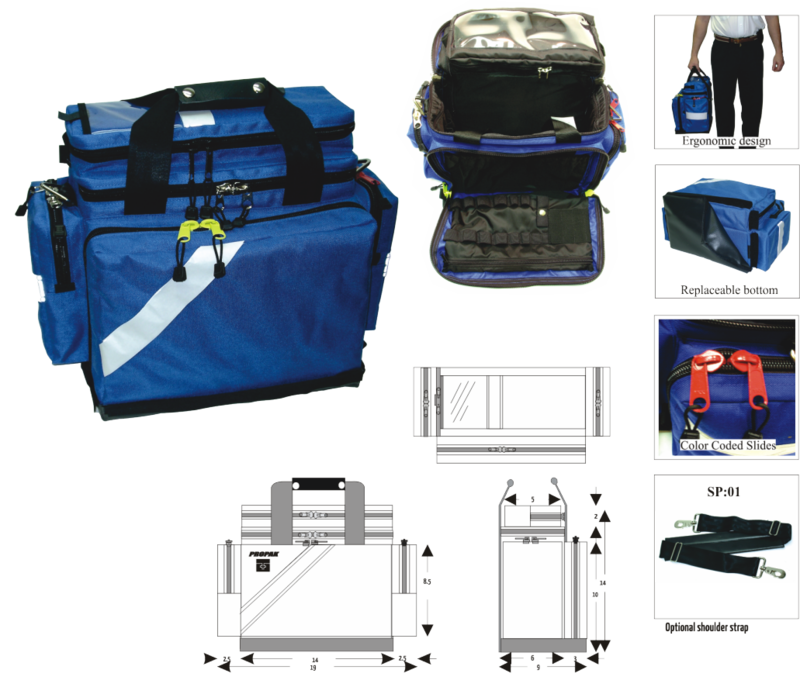 The FI:00 Series of semi rigid compact trauma bags. They come in several sizes. the main body of the bags are all the same, the volume changes by adding pockets to the outside. All models have a deluxe front pocket developed with internal pouches and elastic loops for holding all your trauma needs. 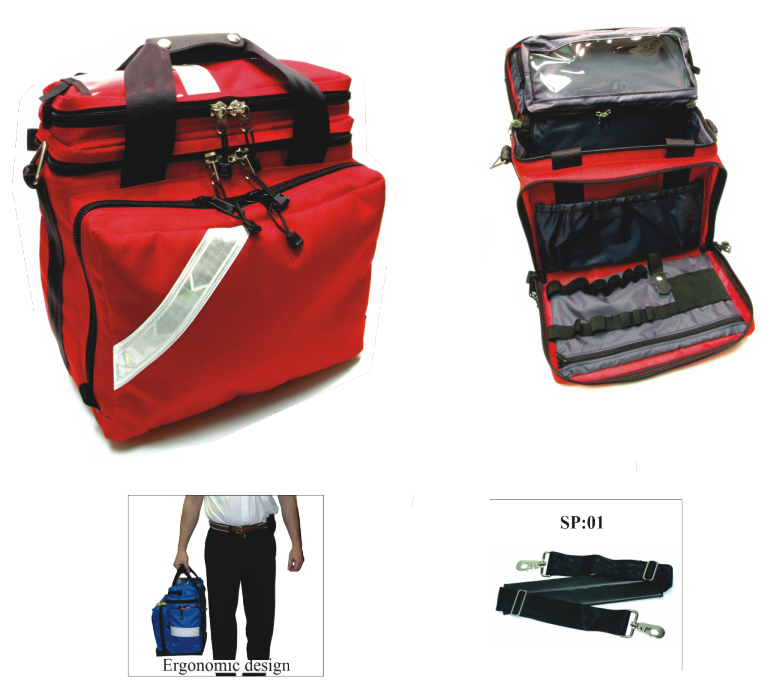 These bags have many uses from a first in trauma bag, a sports medicine bag, a pediatric case, and a nurses bag among many. All models are constructed to Propak Manufacturing’s extremely high standards. The FI:01 is constructed of 1000 Denier cordura nylon with a 200 denier oxford liner, nylon webbing, nickel plated steal hardware, large # 10 YKK self repairing zippers. 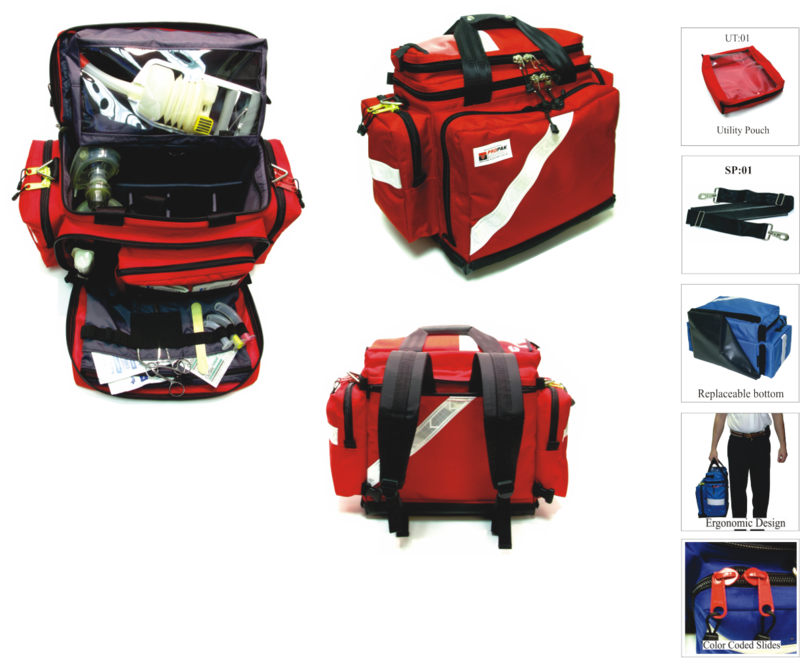 Make for a very high quality bag good for years of service in even the highest call out services. 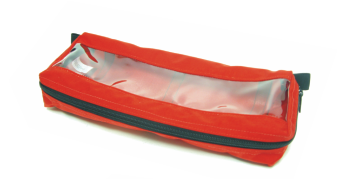 The FI:01 features a developed front pocket, an external lid pocket and an internal lid pocket. The shapeis maintained with removable closed celled evazote foam. Reflexite brand reflective tape make you seen at night. FI:03 Budget multi- Purpose Kit. This kit is still constructed to Propak’s very high standards but with material of a lesser cost. For use in areas where the kit sits for long periods. Such as a Burn kit, or a disaster bag. It is constructed out of 400 or 500 denier outer cloth with the same 200 denier oxford liner, smaller webbing, and only # 8 self repairing coil.